If you’ve ever been lucky enough to get to Nice and the hill towns all around it you immediately understand why a Northerner, especially one so enamored of color and light, would head South and stay there. Matisse made many trips south over the years until he finally gave in, left Paris behind and took up residence in the hills. The mild weather, the lush landscapes, the beautiful colors, and the promise of a different kind of painting all worked on Henri’s mind. 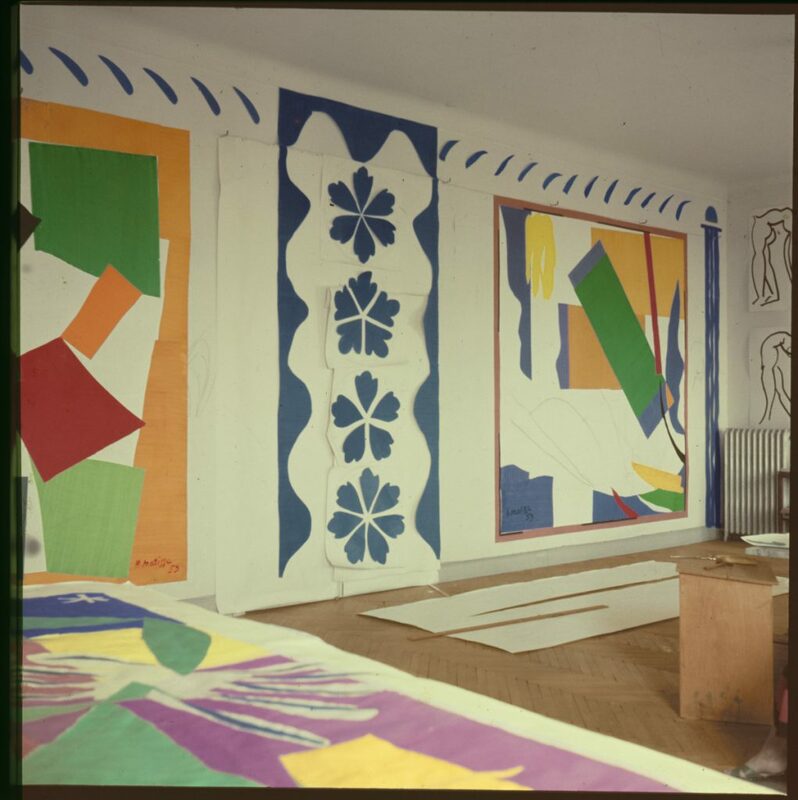 When Matisse finally settled in he lived those decades in something close to a paradise. Not Italian, but French – slower, less vitriolic, but still thick with physical emotions and grand personal imagery. But let’s not forget that during the decades between the wars Matisse was indulgent and spent his time creating a Hollywood studio idea of a Harem, painting and drawing one odalisque after another while enjoying himself immensely one might assume. Picasso was merciless about this period in Henri’s life, and kept prodding the aging hipster to get back to serious work. The pot calling the kettle black, really. But these were the years between the wars. The Lost Generation was finding a different kind of Modernism and changing the game. Meanwhile our two middle aged southern gents were trying desperately to remain relevant while also enjoying the fruits of their earlier successes. Never a good thing in my opinion. This period was called the “return to order” by art historians, which to my mind, misses the point. It really wasn’t order that these artists were looking for. To this day painters still try to emulate the old man and his late southern work. They take his color, his space, his haphazard compositions which fall into place with offhand precision. But what they all lack is his sensuality. These painters don’t have the same desire for opulence, nor have they the decades of emotional excess in the heat of the sun. They didn’t experience the heightened color or understand the vibrancy of living along the Blue Coast. Matisse’s late work is about the mutability of mythology – the old stories, the human dramas. Geography changes a person, makes them over into something different. In the South Matisse found brilliant color and haphazard line and open sensuality. He didn’t just strip off on the beach, burn his skin and bugger off back home with photographs and tourist encounters. He lived, looked, experienced and recreated himself.